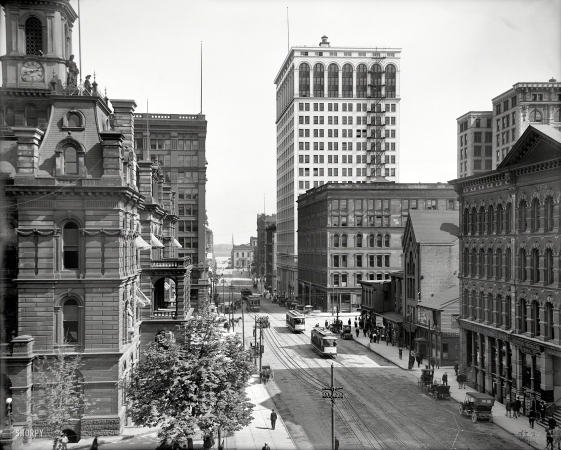 Detroit circa 1910. "Griswold Street south from Michigan Avenue." And a view of the recently completed Ford Building.